☆ PREQUEL TO HIDING OUT IN HOLLYWOOD ☆ Emily Watts just wants a weekend break from the workaholic hours she's taken on to keep her popular fashion-snark website up and running. What she gets is overnight celebrity and a career-killing media scandal. While taking time out to attend a concert in support of friend Jesse Cinder, a struggling musician, Emily meets Cory Sampson, the lead singer of a chart-topping rock band. When she agrees to a date with Cory, making entertainment headlines is the last thing she expects. Even so, it's a minor surprise by comparison to her discovery that in the music world, media notoriety trumps all. Tabloid allegations erupt when Cory and fame-hungry Jesse use Emily for personal gain, and her tarnished image spells disaster--personally and professionally. To save the website and writing career she's made her life and dream, Emily must go from being a pawn in the Hollywood headline game to becoming the media mastermind. 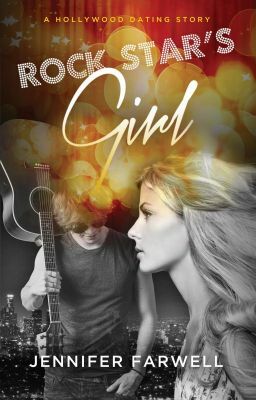 ROCK STAR'S GIRL is the prequel to HIDING OUT IN HOLLYWOOD. This story can be read before or after Hiding Out in Hollywood, or on its own as a standalone.